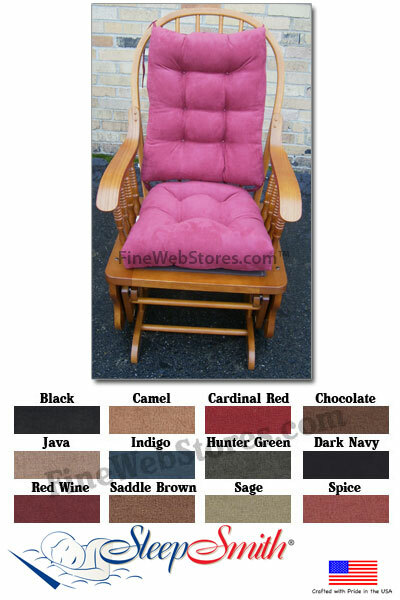 Glider Rocker chair cushions can be hard to come by but we manufacture awesome ones. Our glider rocker cushions are made Micro Fiber Suede. Micro Fiber Suede is a soft great feeling fabric that appears to have the feel of suede without the cost and fragile nature of real suede. Our micro suede is a nylon/polyester blend. The Glider Rocker Cushions Micro Fiber Suede is made from 100% poly fabric.